came now to savour the new-found delights of an established seaside resort, rather than to sample the medicinal Spa waters. The wealthier and more sophisticated of these visitors, who demanded a standard of accommodation and cuisine not hitherto available, were rewarded with a hotel that excelled any other throughout Europe at that time, either in situation, size or range of amenities. Its lofty and spacious ground floor lounge still retains some of the aura of a more expansive age. The locally funded Scarborough Cliff Hotel Company engaged the well-known architect, Cuthbert Brodrick, who designed Leeds Town Hall, Leeds Corn Exchange and the Town Hall at Hull, to design a magnificent building on 12 floors and with 365 rooms, towering 160 feet above the sea. 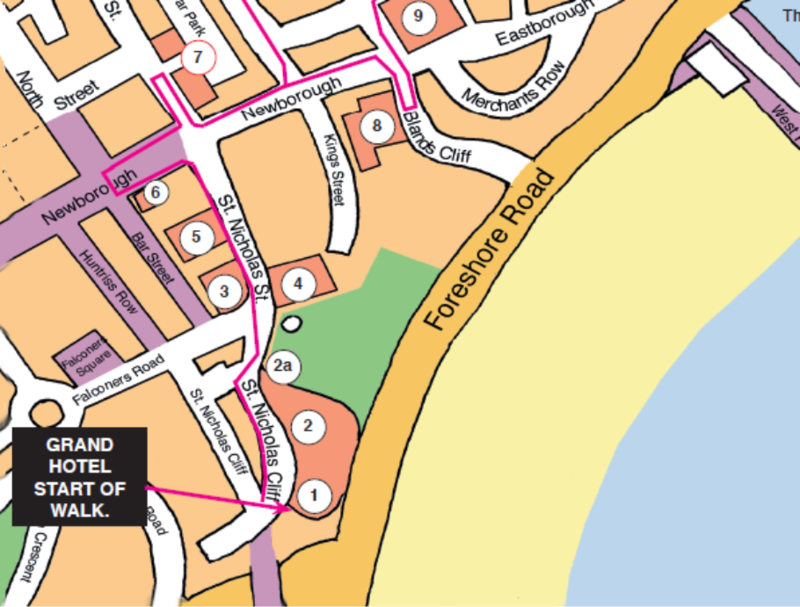 The St. Nicholas Cliff site alone cost the company £30,000. In 1865, with the hotel less than half completed, the Scarborough Cliff Hotel Company went into liquidation. A Leeds businessman, Archibald Neil, bought both site and building at auction for the knock-down price of £43,000. Work then went ahead once more, still to the original plans of Cuthbert Brodrick. By 1867, the Grand Hotel was ready for occupation and was reputed to be the largest and most advanced hotel in Europe. With its four distinctive domes (representing the seasons of the year), it still dominates the South Bay seafront. It has survived bombardment by the German fleet in December 1914, several changes of ownership and as many financial crises. 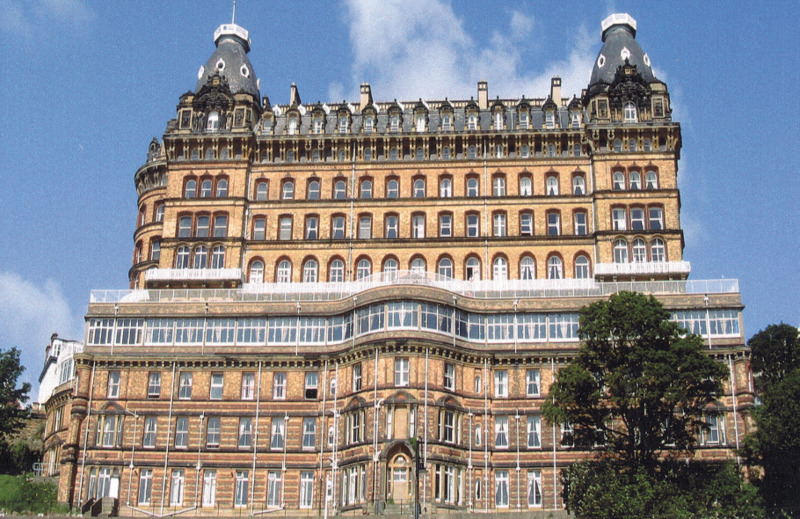 The Grand Hotel has adapted to cater for 21st century visitors and remains one of Scarborough's main attractions. A Grade II* listed building.